In the beginning of my research for Writing Lives it was my priority to grasp an understanding of the British working-classes. I began with David Vincent’s Love and death and the nineteenth-century working class. Not only did Vincent’s account teach me about the working-classes it taught me about reading their autobiographies. The issue of ‘truth’ and ‘relevance’ (Vincent 224) stuck in my mind when reading my author’s autobiography as I wanted to write without speculation. Creating Hymie Fagan’s author blog has been a very rewarding project. When choosing Fagan’s autobiography, it was his name which initially attracted my attention. Researching Fagan’s life has been a truly fascinating experience, and one which reveals the hardships of a Jewish working-class life. 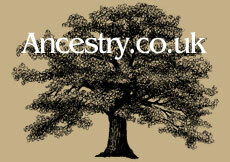 I found this really interesting and a topic worth researching since it affected all aspects of the Fagan family. I focused my research around the history of Jewish immigration in the East End of London during the twentieth century. There was a lot of information from the internet, but I found journals from the digital library JSTOR to be of enormous use. I feel I have contributed to public history as my work comments upon Jewish culture and history. Through Fagan’s writing I have been able to present and interpret his history following his journey and achievements within the British Communist party, as he provides a full account of party politics. 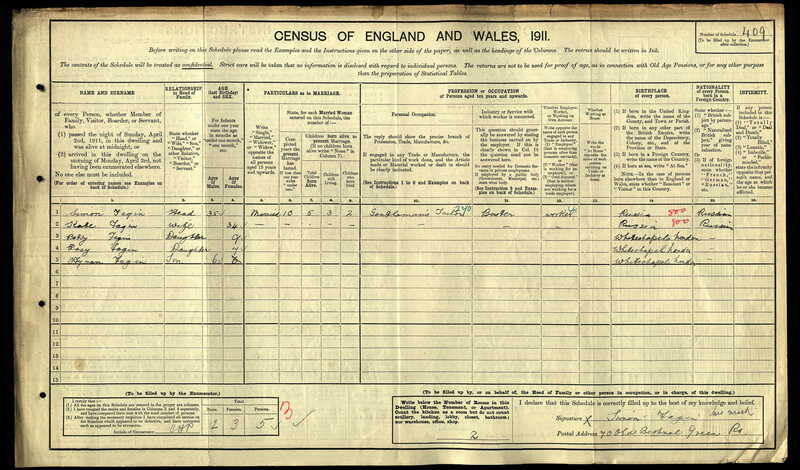 When researching my author I was able to find the Census records for the Fagan family through Ancestry.co.uk. From this one record, I was able to discover that the family had anglicised their name in order to gain British citizenship, since they had emigrated from Russia. 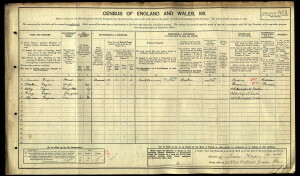 Ancestry also provided me with each name and member of Fagan’s family, which revealed that Simon and Kate, Fagan’s parents had conceived five children altogether. However, two passed away, leaving Bessy, Rosy and Hymie. All of this information enabled me to connect to my author and broaden my knowledge of his history, given Fagan omitted this information from his memoir. Becoming involved in the collaborative research project, has given me the experience to become a researcher. The autonomy of my research has at times proved both, rewarding and challenging. It has taught me to be selective and efficient about my primary and secondary research. Efficiency was vital to my research because Fagan’s autobiography amounted to 68,000 words. Knowing I could not write about every aspect of Fagan’s life, I highlighted the events I found most important, in order to portray and identify the importance of a twentieth century working-class life. Being a part of the Writing Lives project also meant our research was collaborative. Working as part of a research group has enabled to me to receive constructive criticism from my peers. Through proof reading each other’s work, we have been able to assist and improve our writing skills. In doing so, this helped me write more confidently and clearly, without feeling anxious about publishing my work. We also shared our ideas, noting similarities between our authors, providing a real sense of how the working-classes defined themselves through their work, home, labour and beliefs. This became really useful when creating links through the website to promote other authors. 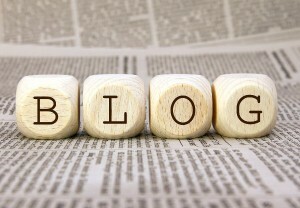 Before I was introduced to the project the concept of blogging was foreign to me. The difference between a research blog and an academic essay I found, was the difference in formality. I had always thought blogging to be a style of writing that was informal. However, Writing Lives has taught me that blogging can be used in the academic world. When writing my author blog, the main challenge I faced was breaking away from academic writing and adapting to the less formal style of blogging. 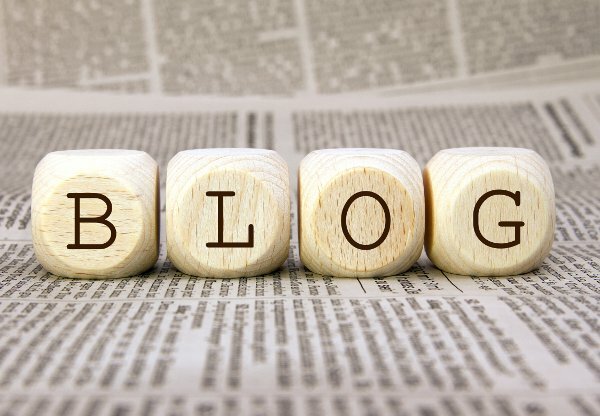 Blogging has definitely made me aware of my own writing style and has helped me become a more concise and fluent writer. One of the main elements I have found to have helped with my style of writing, is always having the audience in mind. Whether they are users who are interacting with the material or readers of the website, I wanted my writing to engage the audience. Along with publishing our work, the promotion of the website was also another component to the project. We promoted Writing Lives through the use of social media such as Facebook and Twitter, in order to gain a wider readership for the website and our own research. Despite having my own personal accounts, I had never used social media academically. Twitter was really useful when obtaining information such as websites, pictures and research because it was received instantly and was accessible at any time. Twitter became a great way of communicating with museums, historians and academics. Through twitter I have been able to promote Hymie Fagan and my findings, as well as becoming involved in an academic community. Writing Lives has been a remarkable and motivating experience. It has given me the opportunity to re-write history, which has been rewarding and gratifying. Not only have I connected with the most influential author, Hymie Fagan, but I have learnt a lot about the British working-classes prior to the twentieth century, which has given me a greater appreciation of their lives. The project has enabled me to become more aware and critical of my style of writing, as well as becoming more confident with it. The process of research has been really interesting and I have thoroughly enjoyed every aspect. I have acquired multiple skills from undertaking the module which I will use throughout my studies. Most importantly, it has given me the opportunity to publish my work and share my research of the fascinating, Hymie Fagan. Vincent, David. ‘Love and Death and the Nineteenth-Century Working Class’, Social History, 5 2 (May 1980) 223-247.